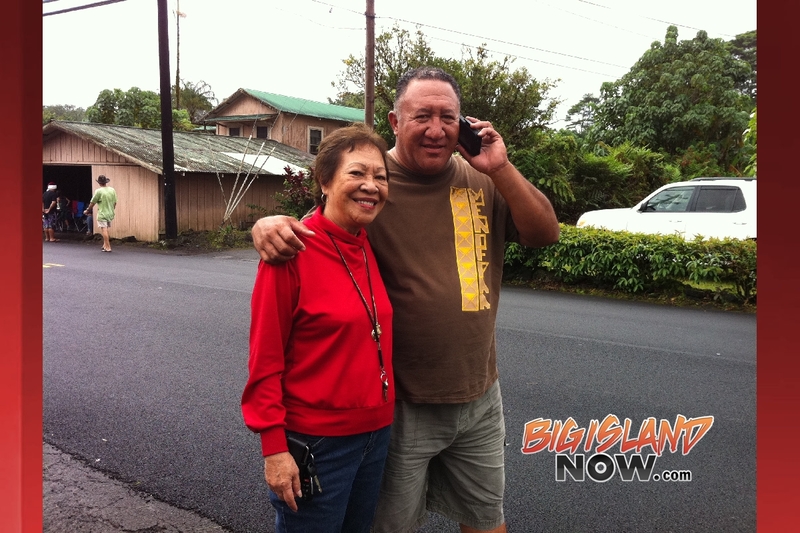 The 14th annual Keaʻau Christmas Lighted Parade is scheduled for Saturday, Dec. 9, 2017. 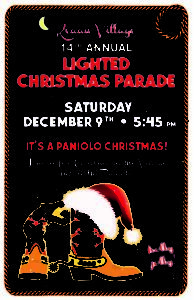 This year’s theme is A Paniolo Christmas. 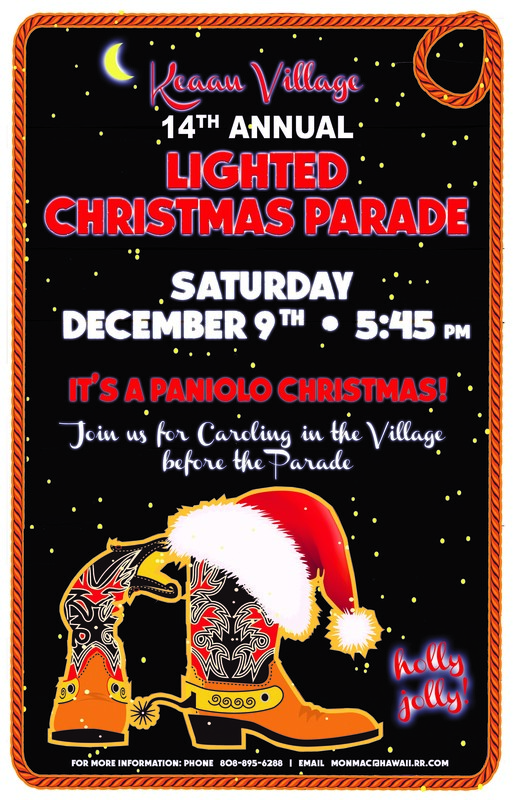 The night will commence with pre-parade Christmas caroling through the village beginning at approximately 5:30 p.m., followed by the parade at 5:45 p.m. Come and enjoy an evening of music, bright lights and fun for all. Parade space is still available. For more information, contact Monica at (808) 895-6288 or email monmac@hawaii.rr.com.